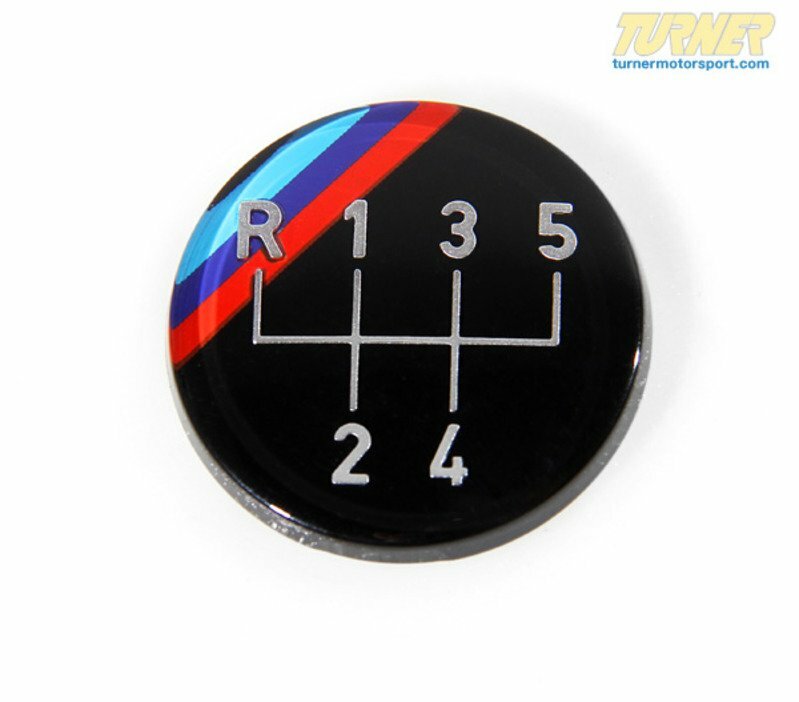 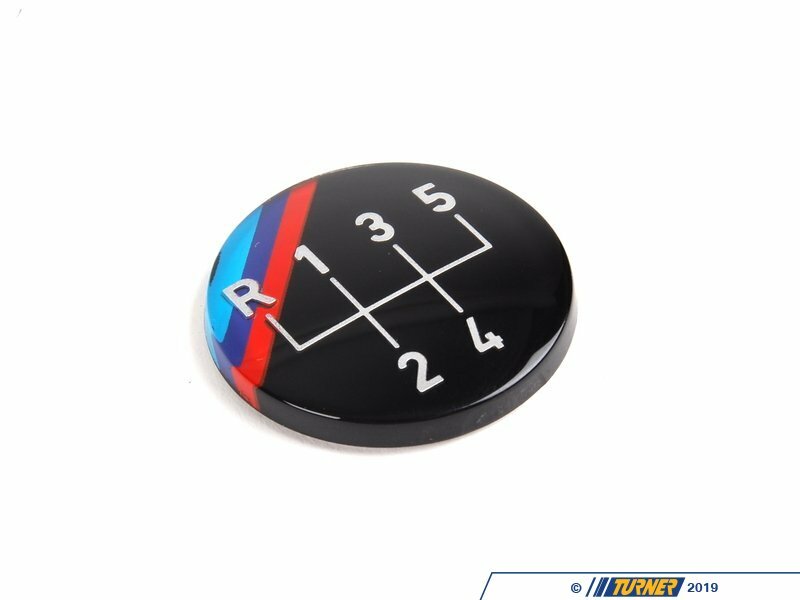 Genuine BMW 5-speed shift knob emblem. 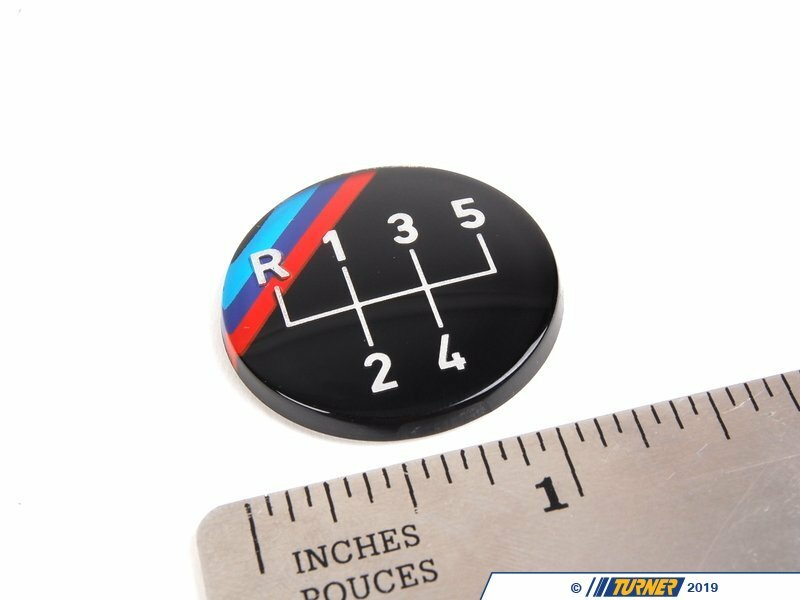 Self-adhesive backing. 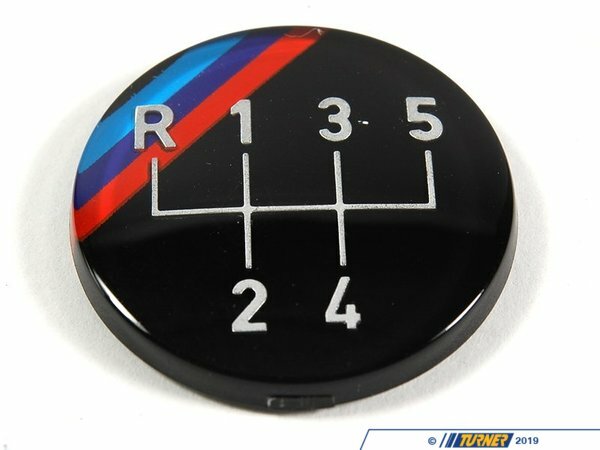 Fits vintage knobs with round emblem only (not later style 'anatomic' knobs).